Here we have a birthday present from Nintendo to me! Okay, okay. 1) My birthday is tomorrow, and 2) This trailer might be for everyone else. DON'T RUIN THIS FOR ME! In all seriousness, The Legend of Zelda: Twilight Princess HD has had its North American commercial posted on Nintendo's YouTube channel. I now share it with you. This remastered version of Twilight Princess releases exactly one week from today. All copies will be bundled with the Wolf Link amiibo. Whether locally or online, multiplayer is a marvelous way to extend the life of a given video game. That said, not all games need multiplayer shoehorned in. The fact of the matter is that the games on this list, part three of my descent into Multiplayer Madness, has multiplayer that feels like a natural extension of the single player. From Grand Theft Auto V to Wii Sports Club, this list has a wide variety of titles in it that I can't help but enjoy and recommend to you, SuperPhillip Central's readers. If you haven't checked out the previous two parts of Multiplayer Madness, play catch up with these two links: number one and number two. To be totally honest, with this first game on my list of favorite multiplayer games, the favorite part here is roaming an immensely expansive game world with other players. There's nothing like speeding along the Great Ocean Highway with a fellow brother of destruction in the passenger seat of your red and black Banshee, warding off a five-star rating to little chance of success. 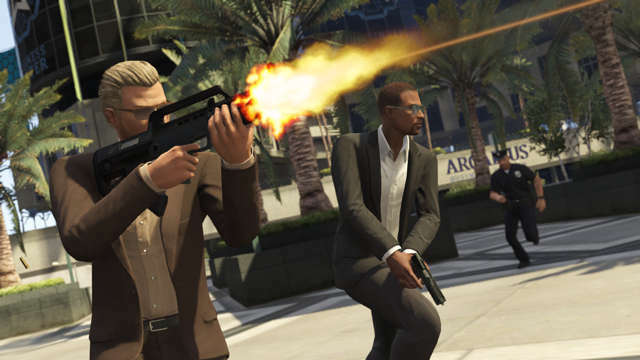 Of course, the various missions and heists you can pull off with other players are also quite rewarding. Then there's excursions like car and boat races, deathmatch modes, and even riveting games of tennis and golf to enjoy. Additional fun comes from the constant progress you make while playing online. You can use money earned to buy new properties, but my favorite thing to do is get a stylish collection of clothes to saunter 'round Los Santos with. This next game had a really weird release schedule, being sold in parts digitally. I waited until the full package, the retail release of Wii Sports Club, before jumping in. 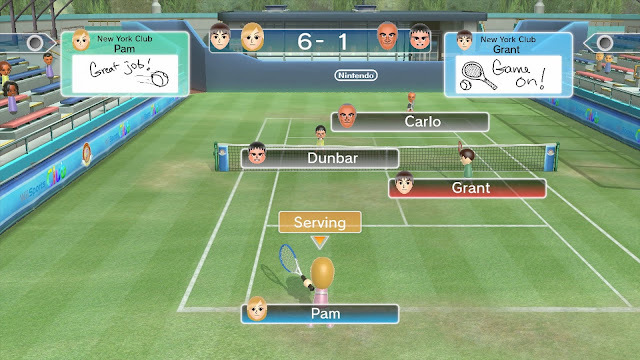 The same five sports from the original Wii Sports are a part of this package, but this time around they all feature Wii Motion Plus controls for added precision and more responsiveness. Whether I successfully made delicate touches with the Wii Remote to hit the tennis ball in the exact location on the court I wanted, or used the GamePad to pitch and field balls in baseball, the added depth to the controls of each sport led to a greater satisfaction with the Wii Sports package. With four players, the satisfaction turned to total contentment. 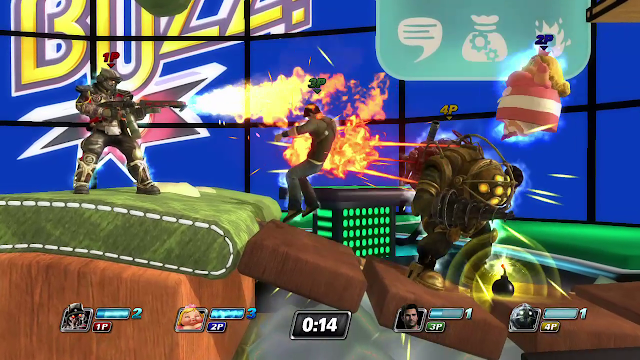 I had hoped PlayStation All-Stars Battle Royale would be supported with DLC for much longer than it actually was. That said, the project itself wasn't the total success it could have been, but I still find myself drawn to this Super Smash Bros. alternative regardless, as the allure of fighting as PlayStation characters like Nathan Drake, Sackboy, Kratos, and Sly Cooper is too appealing to me. Although the Super-cenrtic point system made traditional combat feel worthless, the actual fighting system is quite well done. PlayStation All-Stars Battle Royale was such a fun game for me that I purchased it twice, once for the PlayStation 3 original and then for on-the-go goodness with the Vita version. 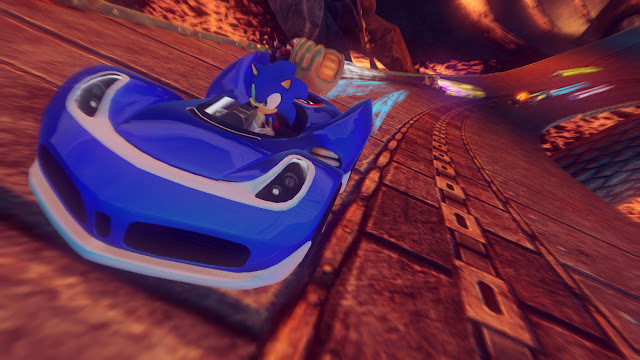 I don't hold this next racer to as high of an esteem as other fans of the game due to several glitches and a lesser amount of polish compared to its predecessor, but Sonic & All-Stars Racing Transformed has been such a delight to play that I've gone through the game not only once on the PlayStation 3, but again on my older brother's PSN account. Then again on the Wii U version. Not only is there a World Tour mode that pits players against a myriad of challenge types, but there is your standard Grand Prix as well. The tracks are long and many change the topography and obstacles between laps, making for an ever-evolving, nay, transforming set of tracks and races. Let's go from one kart racer to another. While not the best handheld entry of Mario Kart (for me, that prestigious title goes to Mario Kart DS), Mario Kart 7 has given me so many hours of play, whether online or locally. The former still has plenty of players, so you can always find a room online in seconds, while locally I can play with my older brother even though he doesn't have the game himself. Through the Nintendo 3DS's Download Play, we can race on any track we want, unlike Mario Kart DS's version of Download Play. Of course, my brother is stuck playing as Shy Guy with a generic kart, but the experience is still one that is great fun. He's at no disadvantage other than his usual poor run of luck at the end of a given race! There was no doubt in my mind that my favorite golf game, the original Mario Golf on the Nintendo 64, would never be usurped by any future golf game. That was until I played Mario Golf: World Tour. The amount of content in this game is phenomenal, whether it's the Castle Club mode where you star as your Mii, the immense amount of challenges, courses, and unlockable characters, costumes, and gear. This is the only Nintendo 3DS game I bought an extra copy of so I could play it with my older brother. 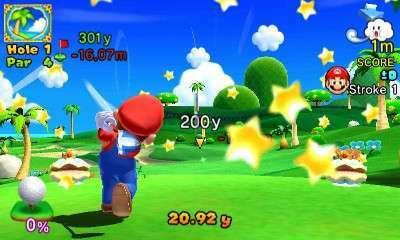 Even without local play, there are so many weekly and monthly tournaments as well as fantastic online play that I've easily put over sixty hours into Mario Golf: World Tour, meaning I've thoroughly toured the Nintendo 3DS version of Mario Golf's world. The oldest title on this list gives me such great nostalgia and memories of much younger versions of my older brother and I playing the entire Donkey Kong Country Super Nintendo trilogy together. My personal favorite of the trio of games, and one of my favorite games of all time, is Donkey Kong Country 2: Diddy's Kong Quest. Unlike Donkey Kong Country and Donkey Kong Country 3, where I'd always be Diddy Kong in DKC and Dixie Kong in DKC 3, my brother and I split roles on each play-through. Some play-throughs I'd be Diddy while others I'd happily play as Dixie. The levels, ambiance, music, secrets, and bosses are my favorite of the series, and I hold the game to such a high standard. No, this edition title has nothing to do with SuperPhillip Central's Favorite VGMs or even SuperPhillip Central. Instead, it selfishly has to do with yours truly, who turns the big 3-0 this Saturday. This edition is my own pre-birthday celebration of hitting this age milestone of three decades on this earth. This birthday blowout edition is full of bright, bouncy, and cheery themes. 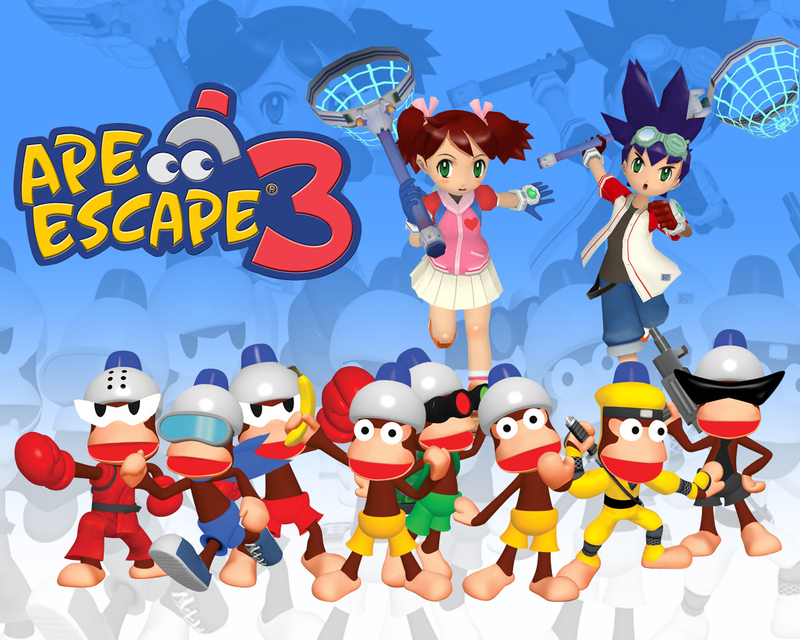 We begin with the Toytown level theme from Ape Escape 3. Then we enter the Dream Forest of the original Rayman. 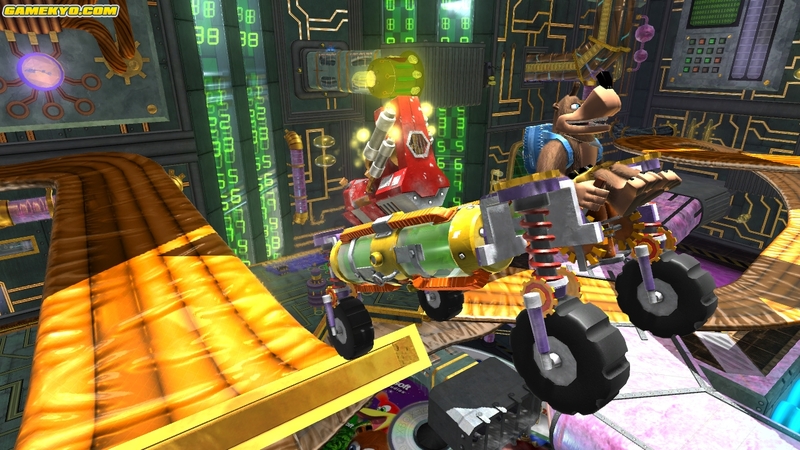 Konami Krazy Racers then drives us to our next theme. Following those three games, we wrap up this celebratory edition of SuperPhillip Central's Favorite VGMs with music from Final Fantasy: The 4 Heroes of Light and Banjo-Kazooie: Nuts & Bolts. As always, check out the VGM Database for past VGMs featured on this weekly segment. Ape Escape 3 was a PlayStation 2 game I had overlooked. In fact, I overlooked the entire series until its PlayStation Portable port of the first game in the form of Ape Escape: On the Loose. While that makes me ashamed (though slightly, as how much shame can a person have for not playing Ape Escape? ), I'm glad I finally warmed up to the franchise. Rayman released on iOS devices last week, and I sort of have trouble thinking how a game that was already difficult even with analog controls could be played with competence and no frustration with touch controls. 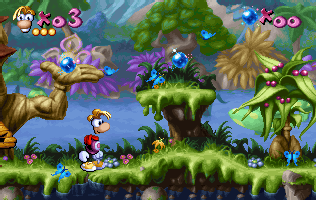 Regardless, most players might only get acquainted with this theme of the first world, Dream Forest, as the original Rayman is indeed one challenging game. 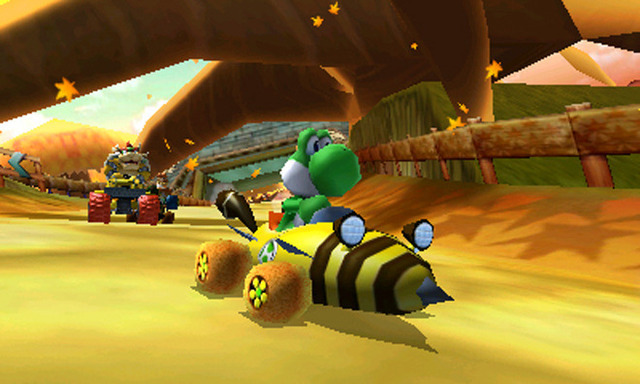 This theme might become grating after hearing its short twenty second loop repeat on and on, but for the most part, Konami Krazy Racers' main theme is catchy as all get out with its infectious rhythm and voice samples. 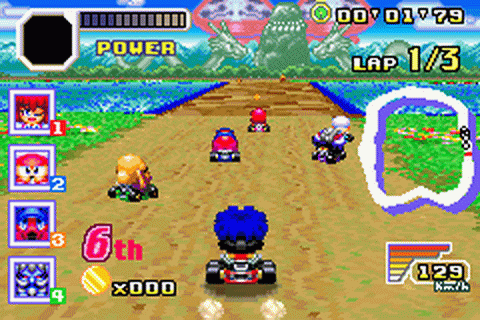 Konami Krazy Racers was a great launch title for the Game Boy Advance that was the perfect time waster until Mario Kart made its handheld debut. We go old-school Final Fantasy with this soundtrack. 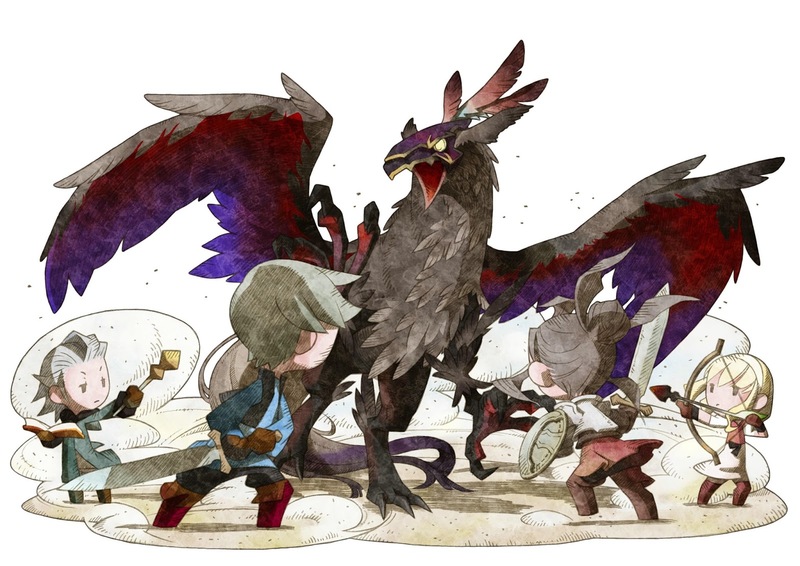 Final Fantasy: The 4 Heroes of Light may have released in the past decade, but it hearkened back to more classic Final Fantasy games. Its soundtrack was a mix of retro and modern, a really well done mix, now that I mention it. Banjo-Kazooie: Nuts & Bolts was not the Banjo-Kazooie game fans were expecting from Rare and Microsoft, but the game itself is quite the joy to play and build fantastic vehicles to clear the game's multiple challenges. 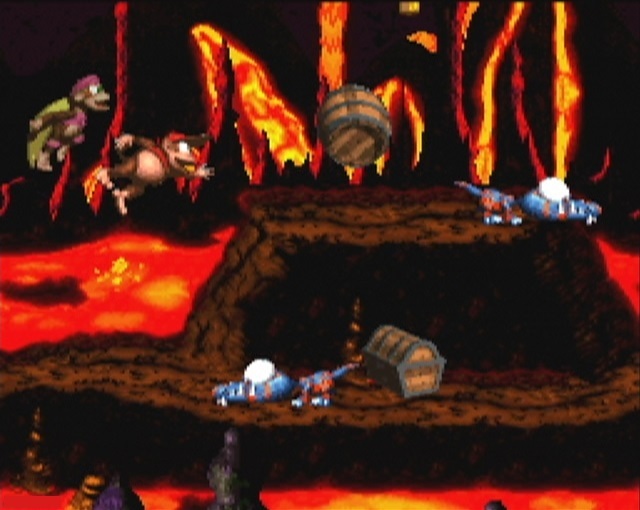 Jinjo Challenge is but one of these challenge types, and it is an orchestrated version of Banjo-Tooie's Jinjo Village theme.